Laurence Anyways (2012) by Xavier Dolan. Or the story of an impossible love. The director, Xavier Dolan is 23 years old, born in Montreal, Québec and already won prizes at the Cannes Festival for his two previous movies: « J’ai tué ma mère » (I Kill My Mother) and « Les Amours Imaginaires » (Heartbeats). Though he is young, he is definitely talented and I thank him for breathing some fresh air into the dusty francophone cinema. He approaches dodgy topics like the hate for a mother or a youth love triangle with maturity and a unique sense of aestheticism. In Laurence Anyways, his third movie, the atmosphere is heavier than in his first movies. 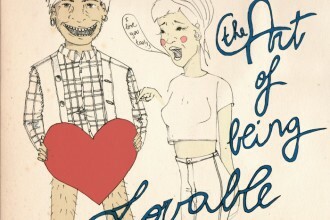 It is no longer a question of fleeting teenage love or hate, but of an impossible love including all the earnestness of feelings that comes with it. 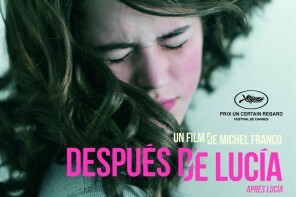 Laurence (Melvil Poupaud) is a literature teacher at university and Fred (Suzanne Clément) is a scriptwriter in the cinema field. They live together, completely in love. But for his thirtieth birthday, Laurence entrusts to Fred his inner desire to be a woman and that he doesn’t see how he could be happy by staying a man. 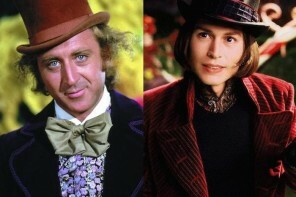 The shock is terrible for Fred, but Laurence begins his transitioning regardless. Their relationship is tested as a long and deep journey into themselves just begins. Far from the clichés of the transexuality theme, « Laurence Anyways » depicts a love story of two people who could be you or me. Forget the armchair psychology that we are used to see and read about transexuality- here is question of a couple trying to face and endure a reality, but unable to survive such an enormous and deep change despite their love for each other. I would qualify « Laurence Anyways » as a modern love tragedy following the example of « Romeo and Juliet » but with contemporary problematics. In this tragedy, the enemy comes from inside of the couple itself, even inside of the characters themselves; stuck between paradoxical feelings and desires. During the 2 hours and 39 minutes of the movie, which depicts a slice of life of ten years, the two protagonists go through every kind of emotion and deal with tough situations. One epic scene in a restaurant lets us speechless. In fact, while Fred and Laurence are having lunch in a brasserie, a waitress is more and more unpleasant, always commenting Laurence’s physique chile she is serving them. Another observation and it is the straw that breaks the camel’s back. Fred burns up and vents her anger to the waitress under the looks of the customers. 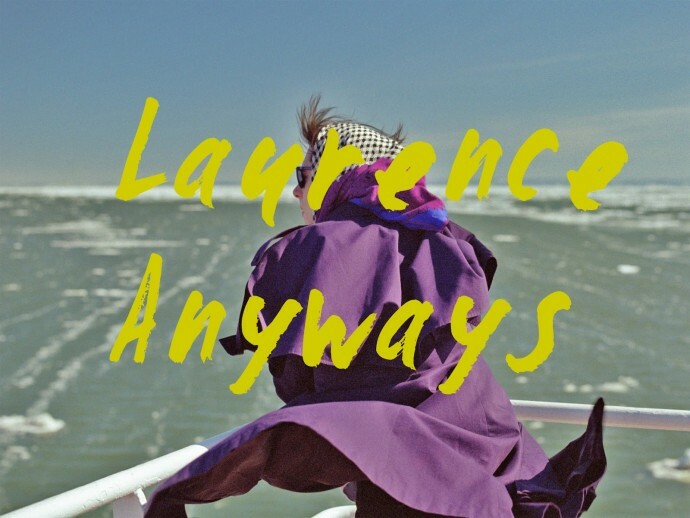 « Laurence Anyways » shrewdly explores the consequences of such a transformation and accurately depicts how hard it is for Laurence to accomplish himself in a society which is not ready for that. Rejected by his parents, got fired from his job as a teacher, beaten in a dark back alley, Laurence experienced the worst, but it never stops him transitioning and reaching his goals. Fred hurls to Laurence: « Everything I love from you is what you hate from you! ». The tone is set. They break up. Both bounce in opposite directions. Laurence becomes a woman and a writer. Fred, chooses to become a wife and a mother with another man. Known for his inspiration openly autobiographical, Xavier Dolan offers us again a firework of colors, of music, of incredible imageries and fashion. Same as Wong Kar-Waï, he controls to perfection the slow motions, which adds an amazing power and beauty to the characters. The action of the movie takes place in the nineties. From the crazy haircuts to the clothes wearing improbable patterns through extra-large shoulder pads, « Laurence Anyways » immerses us in the kitsch of these years thus creating a strong sense of nostalgia of this passed time. The music contributes also to this immersion with a great hint of this period (cf. « Pour Que Tu M’aimes Encore » by Céline Dion), but it is also scenes with « A New Error » by Moderat which draws us deep into the universe of Xavier Dolan, where clothes just fall from the sky and huge amounts of water fall on a protagonist. « Love doesn’t make everything possible » is the message we get when the credits start to scroll at the end. After more than 2 hours and thirty minutes in front of the screen we journeyed through a large spectrum of feelings, from love, to anger, through hope and despair juggling between the fiction and the reality: our reality. The society which is depicted in « Laurence Anyways » is not so different to the one we live in right now. Still closed-minded on topics such as transexuality; sticking to clichés which die hard, probably because the unknown is scary. “Laurence Anyways” is such a powerful movie, because for once, the transexual character isn’t a supporting funny role, isn’t the one dying at the end or isn’t the tormented teenager, it isn’t all of that, roles that we could see in “Transamerica” or “Boys Don’t Cry” for example. Xavier Dolan’s movie is different because everyone of us can relate to it. We all can find a point in our life where a dilemma came between the way we always wanted the things to be and the spontaneous way life brought us. In this case, in Freds point of view, between loving this guy transitioning into woman or coming back to the reality, which is being a mother and married to a “real” guy. This movie is an amazing piece not only because of all of that, but also because it has a sad and a happy ending at the same time, therefore it has a negative message for love and a positive message for self-accomplishment. Laurence made his choice as we all do.